Slow eating could be the key to losing weight, a new study suggests. 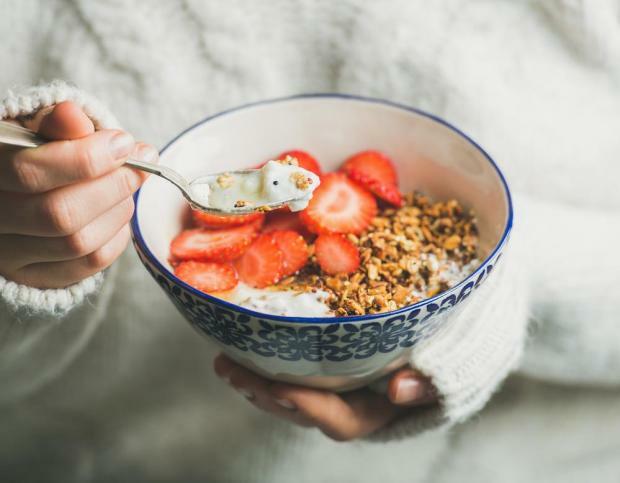 Participants were asked about the speed they ate food - fast, normal or slow - and other lifestyle habits including eating dinner within two hours of sleeping, after-dinner snacking and skipping breakfast. In the study, obesity was defined as having a BMI score of over 25 - in the UK people are deemed to be overweight with a BMI score of over 25 and obese if they have a score of over 30. The Japanese researchers found that at the start of the study, 22,070 people routinely wolfed down their food, 33,455 ate at a normal speed, and 4,192 classed themselves as slow eaters. Just over half of participants changed their eating speed over the course of the study. After taking account of potentially influential factors, the results showed that compared with people who eat quickly, those who ate at a normal speed were 29% less likely to be obese, rising to 42% for those who ate slowly. Snacking after dinner and eating within two hours of going to sleep three or more times a week were linked to a higher risk of being overweight. But skipping breakfast was not. The authors concluded: "Changes in eating habits can affect obesity, BMI, and waist circumference. Interventions aimed at reducing eating speed may be effective in preventing obesity and lowering the associated health risks." But they cautioned that people who took part in the study were "relatively health-conscious individuals" who voluntarily participated in health check-ups, so the findings may have "limited applicability to less health-conscious people".